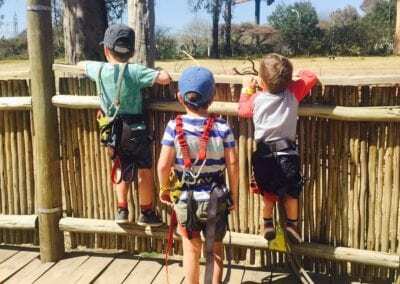 Book your School Outings & Extra-Murals in Cape Town, Centurion, the Garden Route, Johannesburg or Pretoria in one of our Outdoor Activity Parks. 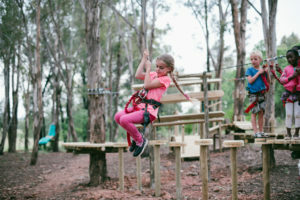 Kids will have the time of their lives with a school trip to Acrobranch! 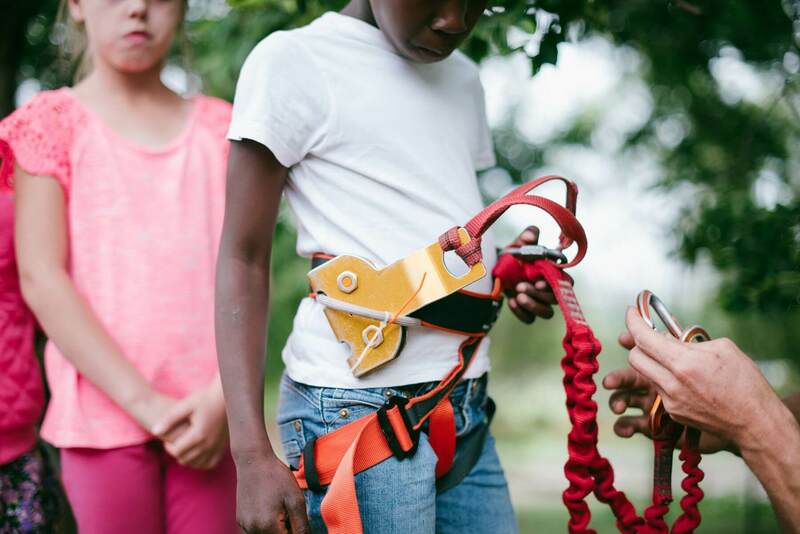 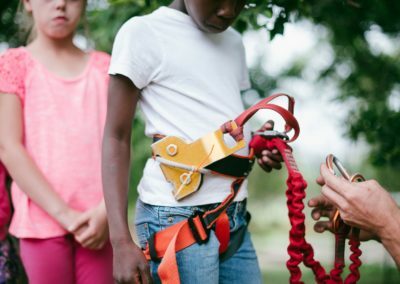 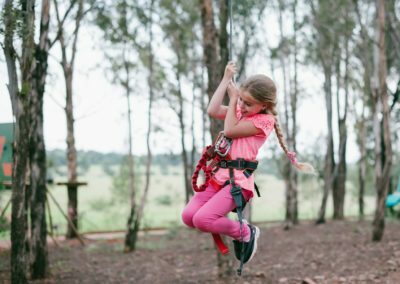 Get the kids out of the confines of the classroom and into the fresh air this school year by embarking on a treetop adventure at your local Acrobranch. 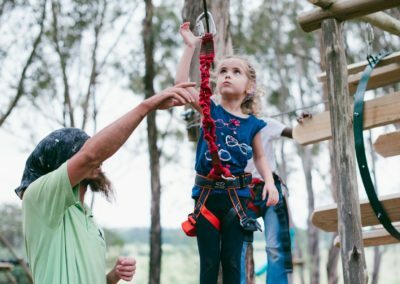 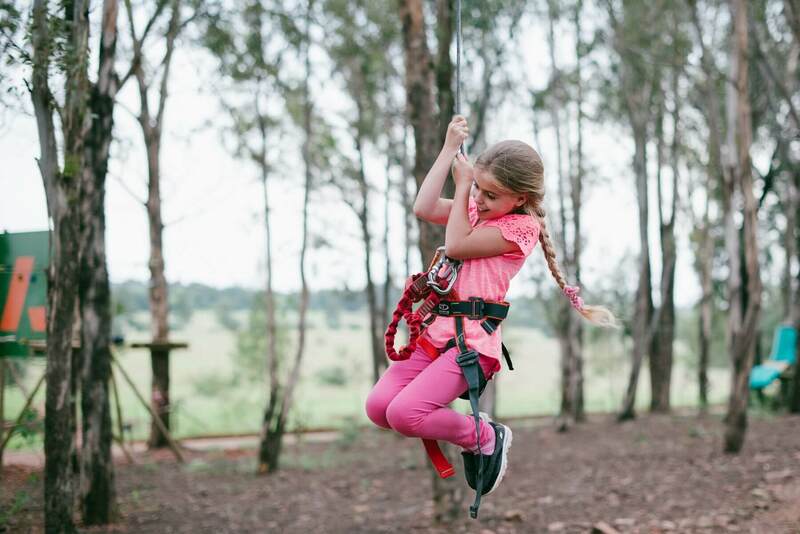 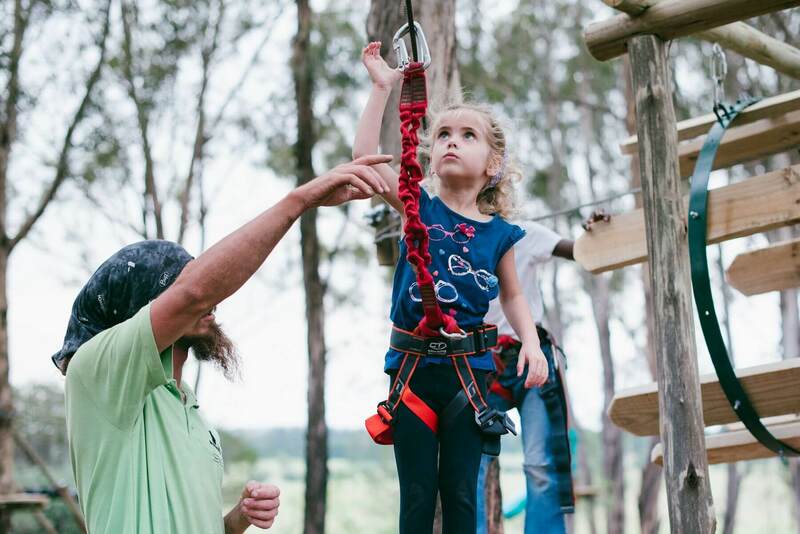 With various treetop adventures that cater to kids of all ages, as well as rigorous safety procedures, this is a no-brainer for your next organised event. 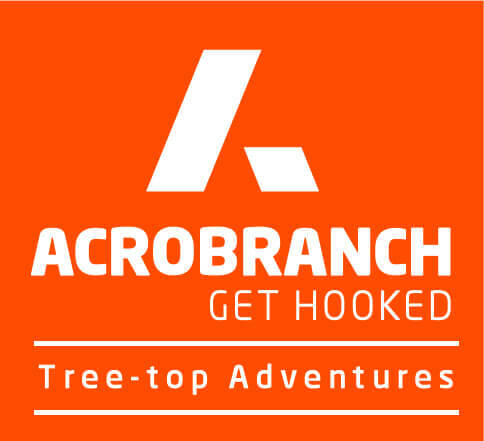 Acrobranch is conveniently located in 8 locations across South Africa, including Cape Town, Stellenbosch, the Garden Route, Centurion (The Big Red Barn), Pretoria North, Pretoria East (Rosemary Hill), Melrose and Linksfield (Huddle Park). 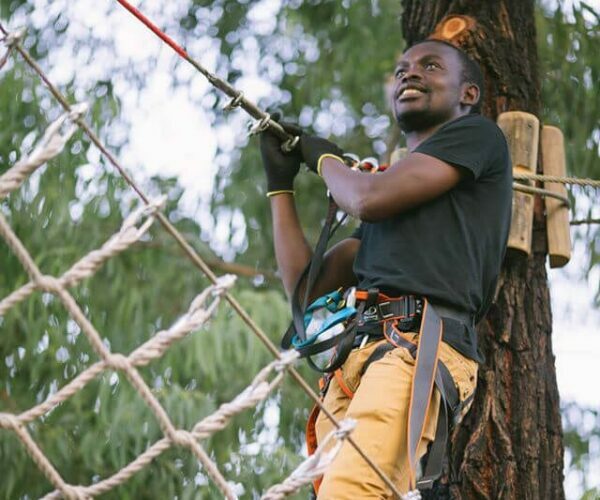 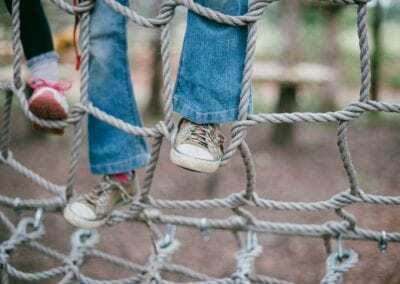 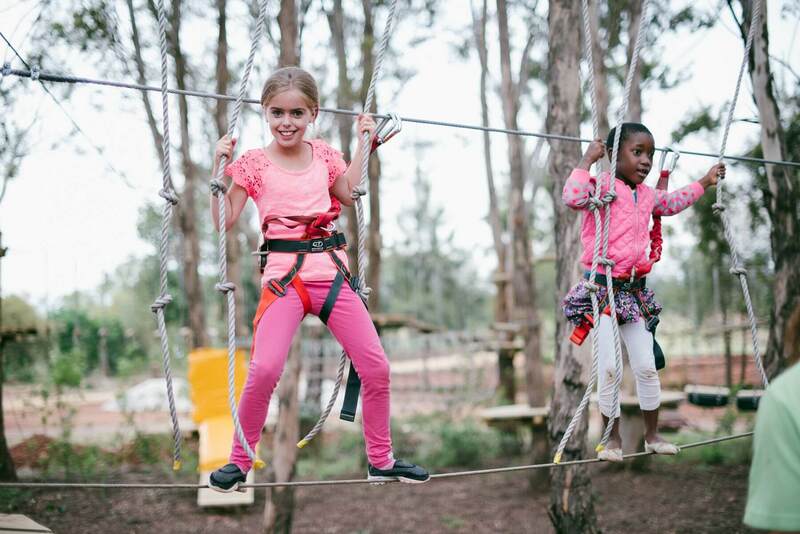 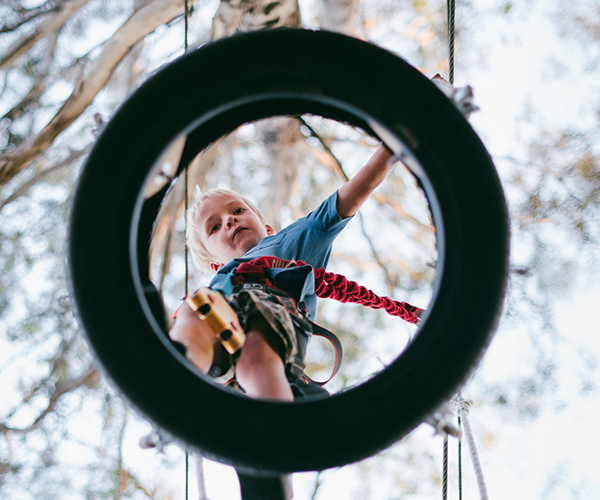 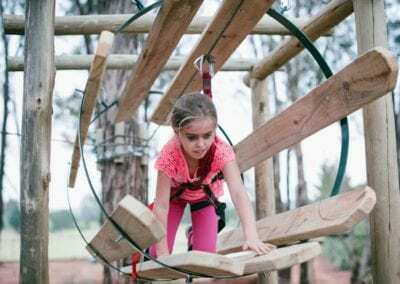 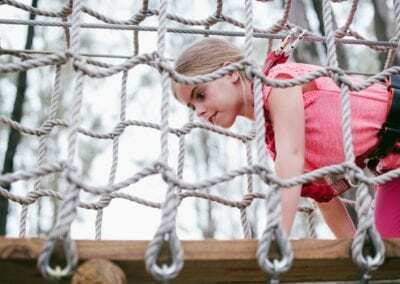 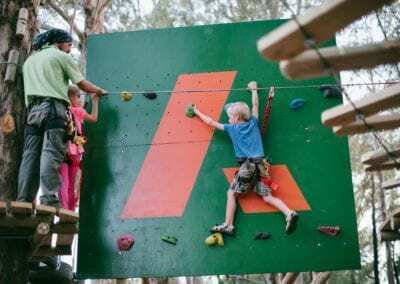 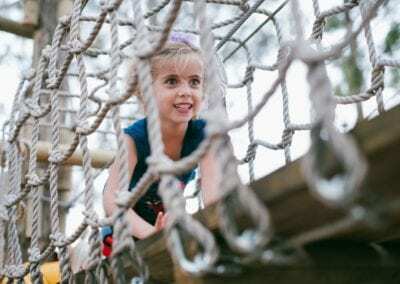 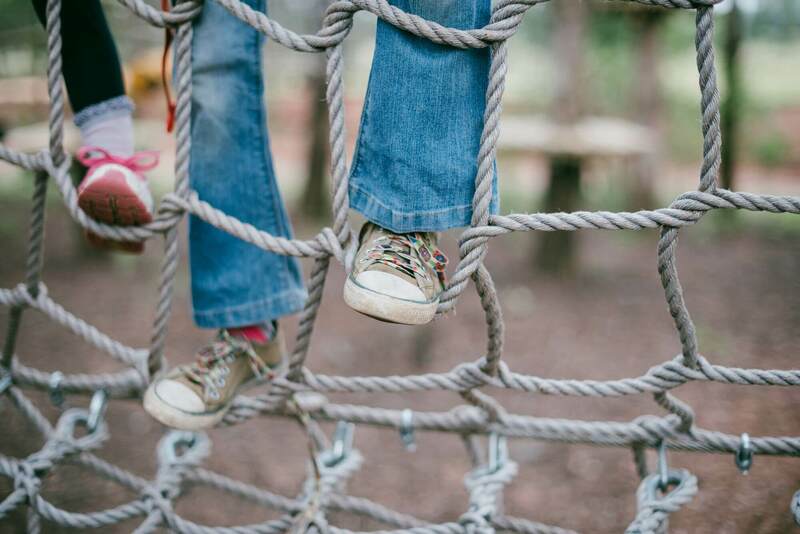 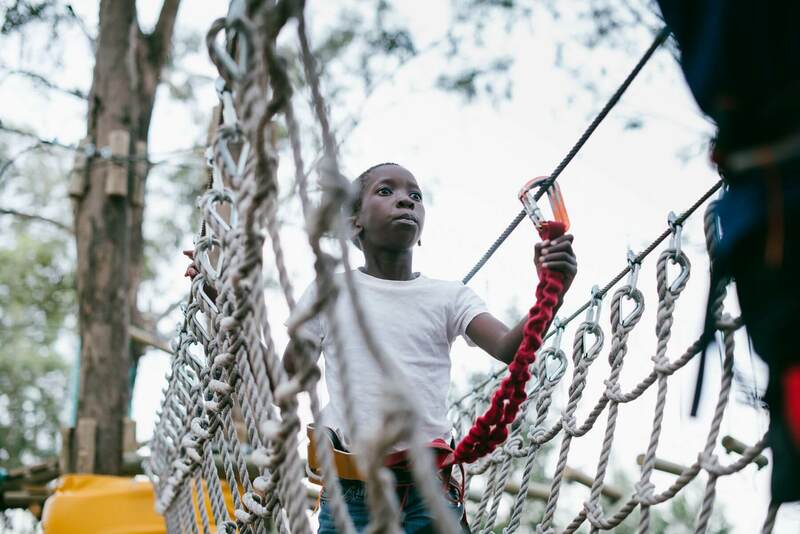 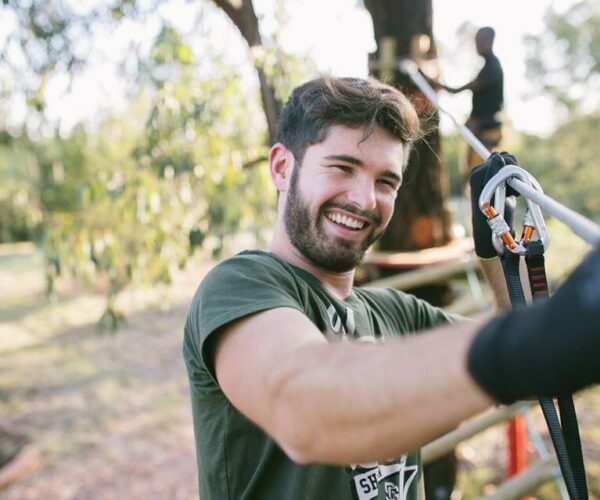 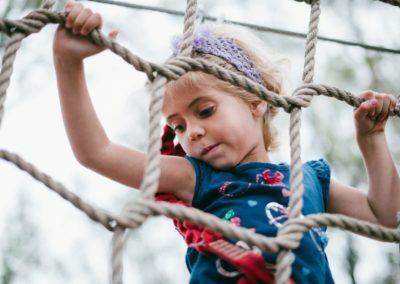 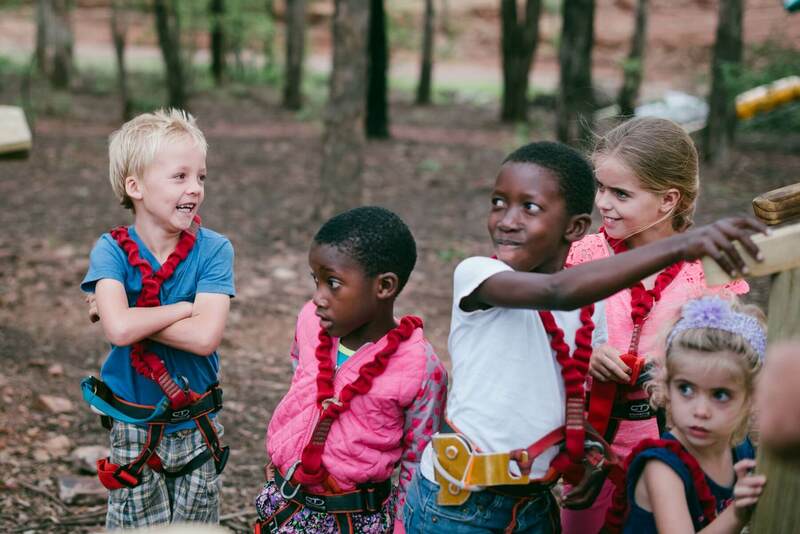 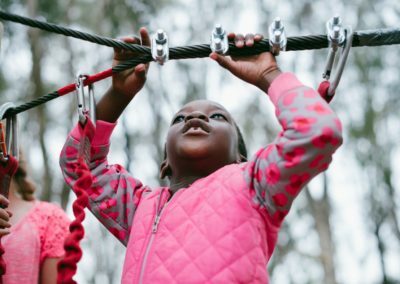 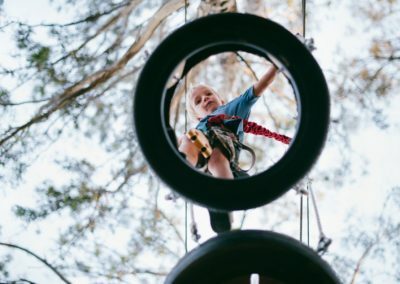 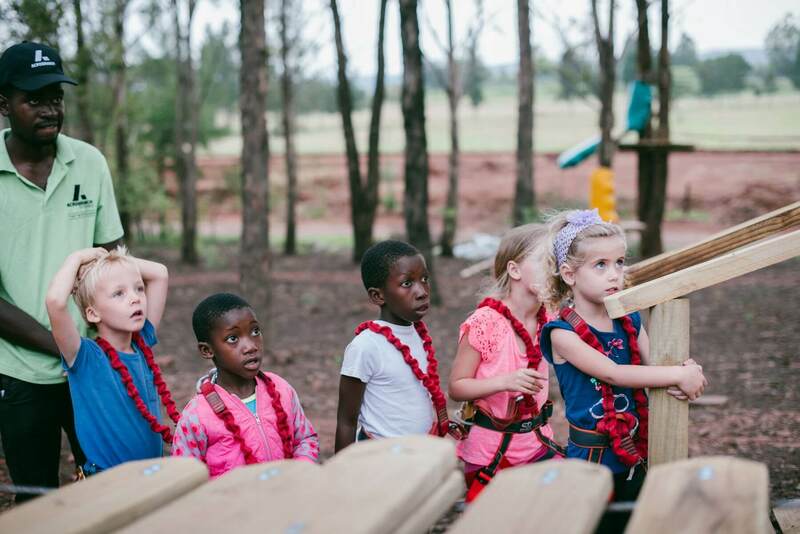 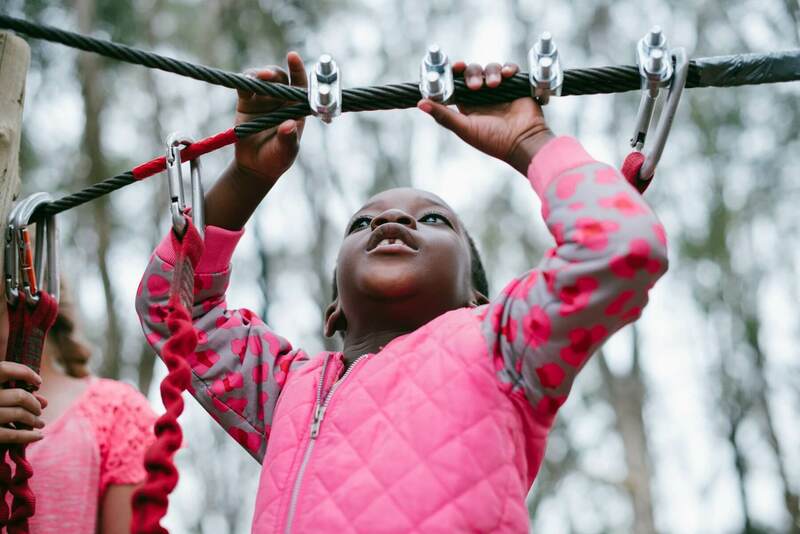 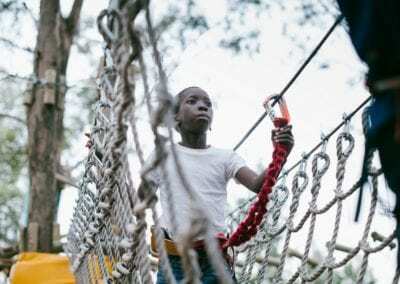 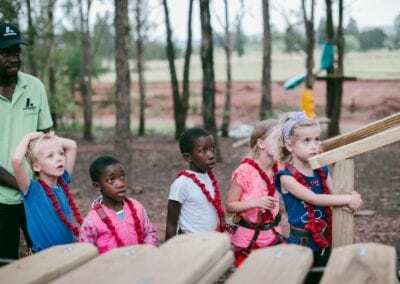 Featured on Jozi Kids, Cape Town Kids and Cape Town Magazine, Things to do with Kids, Acrobranch is a well-known and respected outdoor adventure park that offers so much more than just a fun day out for kids. 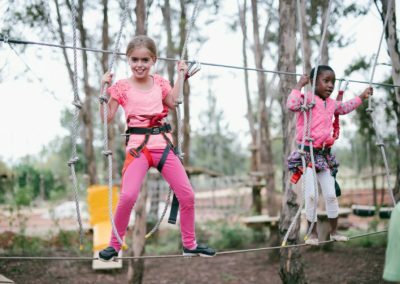 School groups receive discounted rates during the week (Monday to Friday excluding public holidays) for groups of 20 or more. Kids can spend their school outing clambering along the treetop courses, cargo nets and ladders before reaching the thrilling ziplines that will have them joyfully shrieking as they fly safely through the trees. No matter the age or level of bravery, boys and girls alike can appreciate this outdoor adventure with their classmates and treasure the experience for years to come. 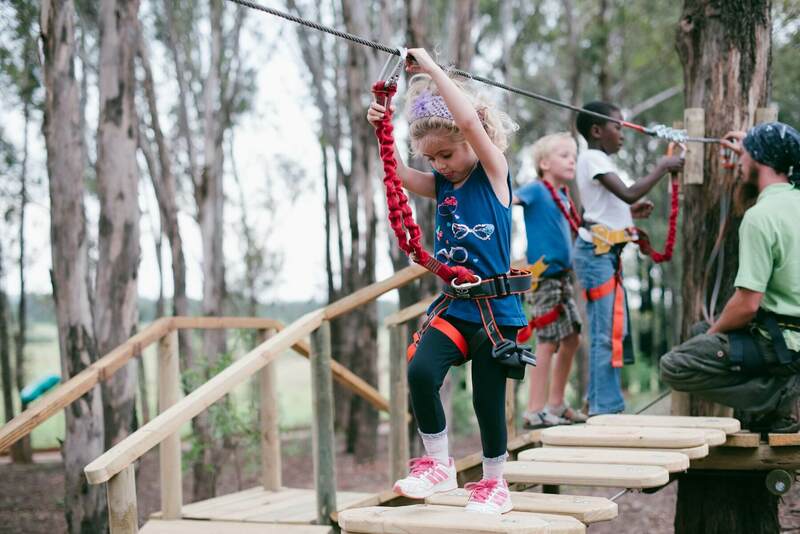 Our parks offer gentle courses that are suited to kids between the ages of 3 – 6 years (Acrotwigs), as well as more technical routes for ages 7 and up. 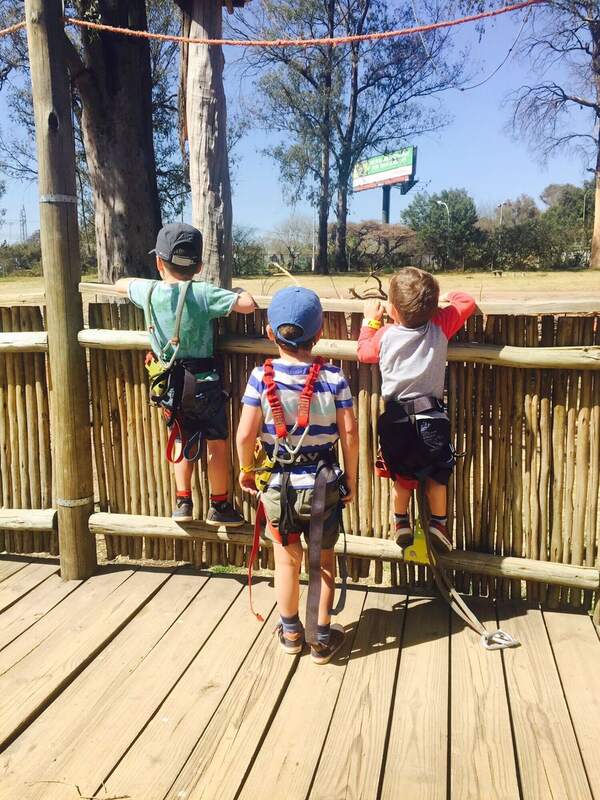 Kids are monitored by our experienced guides throughout the course, so fear not! 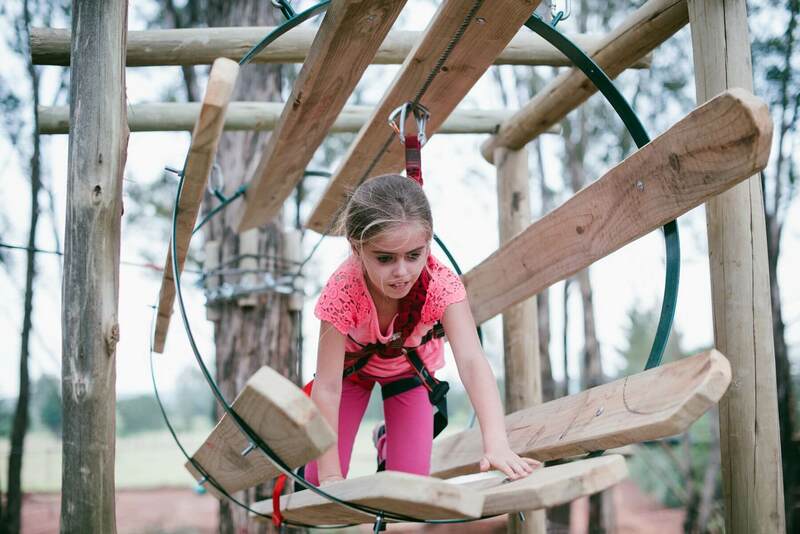 The best part about spending the day at Acrobranch, is that teachers and parents can enjoy it too! 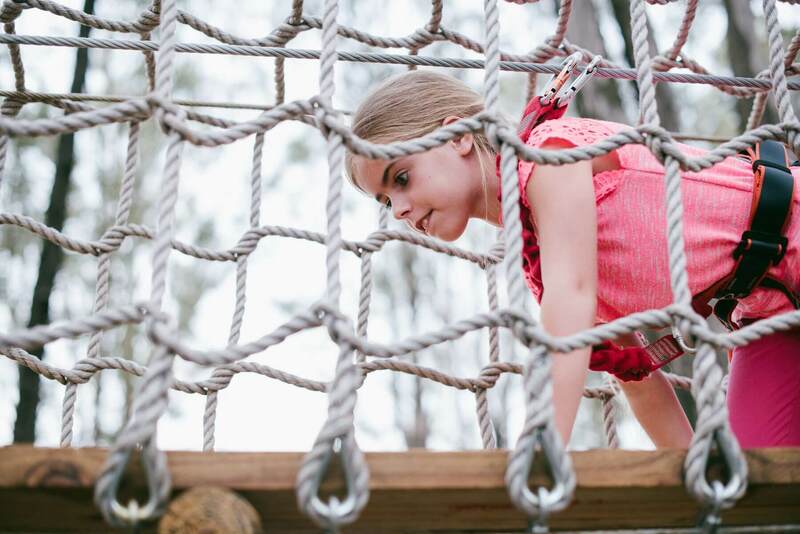 Be brave and join the kids as they meander their way through the various obstacles. 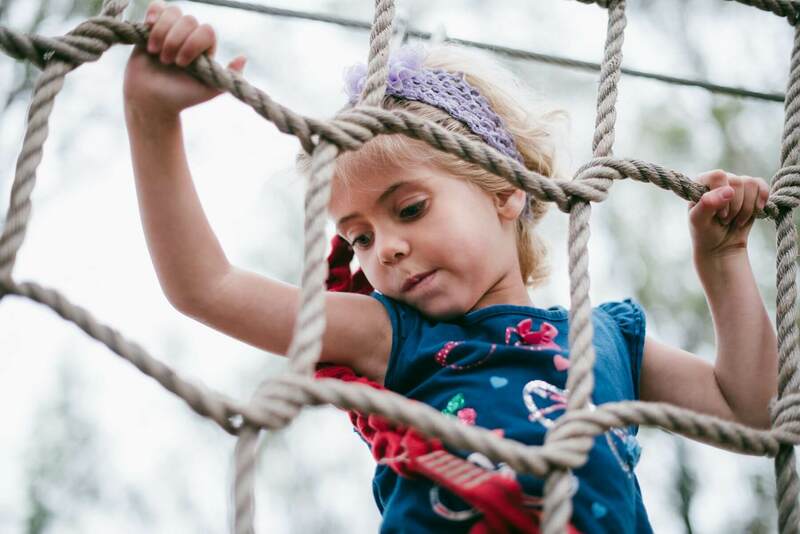 Please use the form below to contact us and make arrangements. 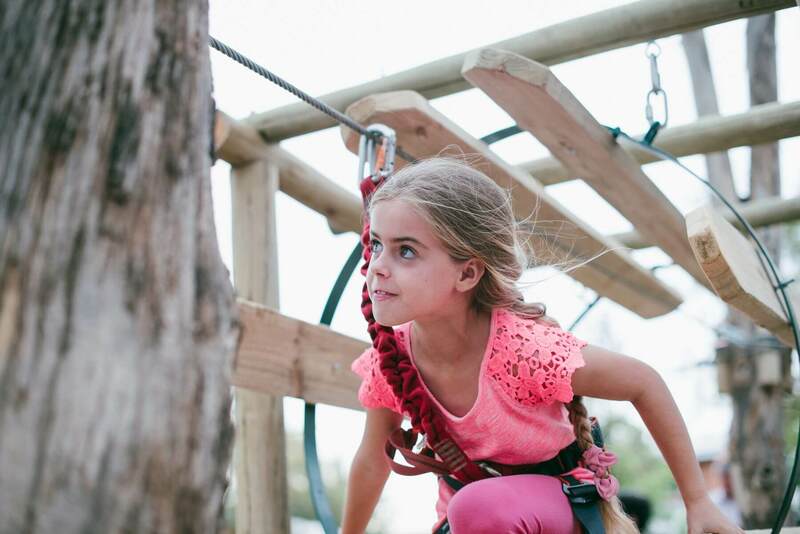 At Acrobranch, all of our obstacles including ziplines have been designed and built to European standards and verified by the European industry experts. 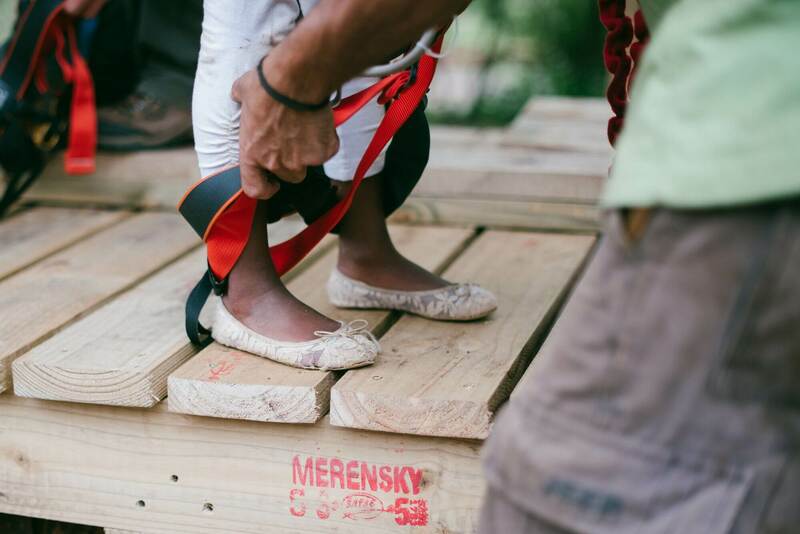 Our safety gear is EU-marked and imported directly from Europe. 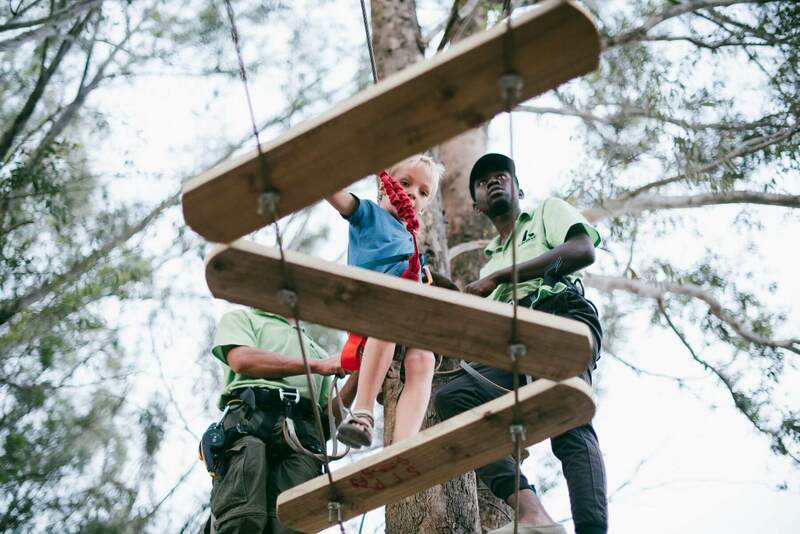 We have experienced guides stationed throughout the course to remind you about the safety rules and ensure that you stay safe during your outdoor adventure. 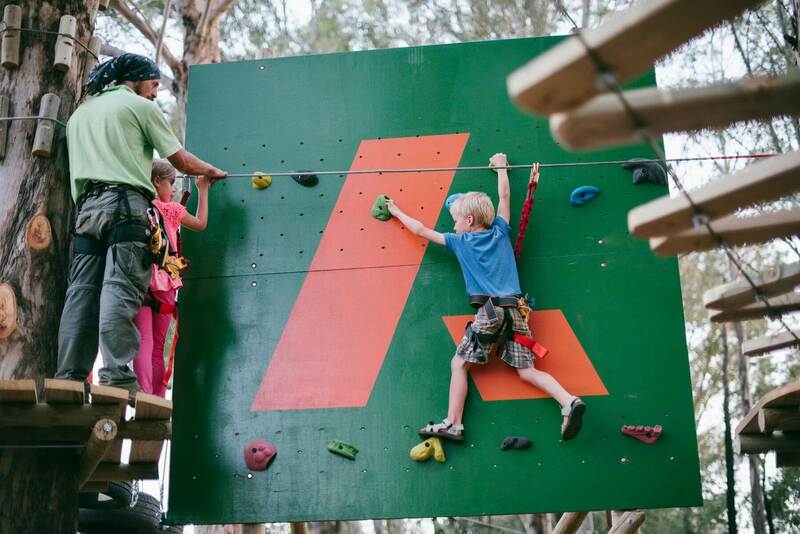 Your fun day out doesn’t have to end at Acrobranch. 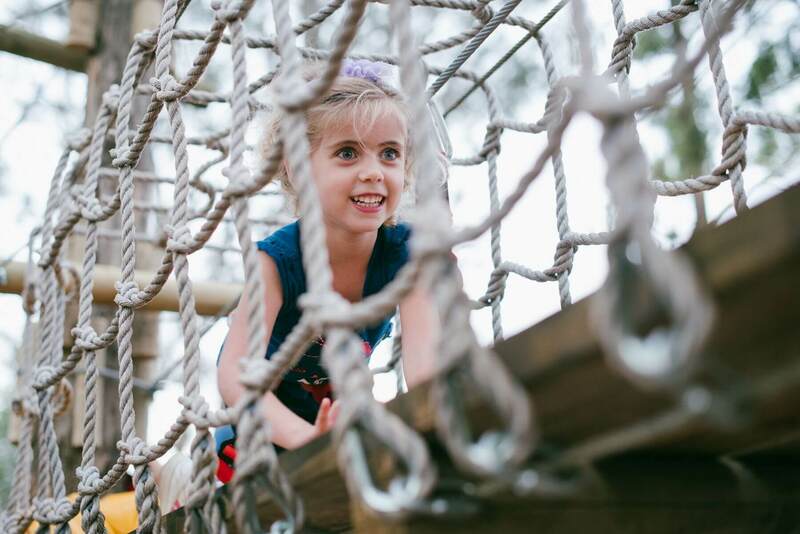 Visit the locations around the parks for a tasty treat or organise a catering facility for the day. 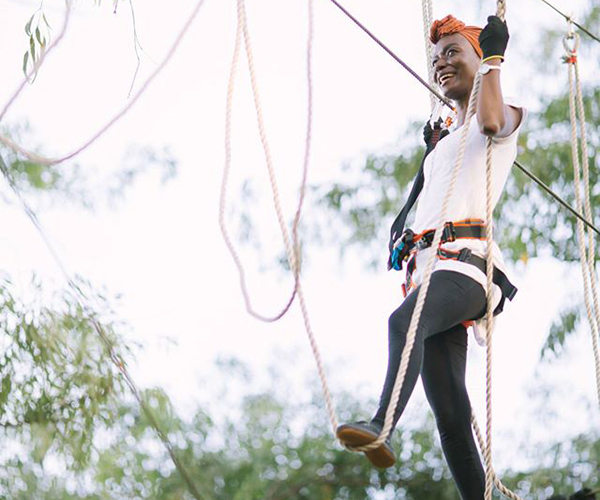 Our parks are conveniently located next door to various eateries, each with catering options available.